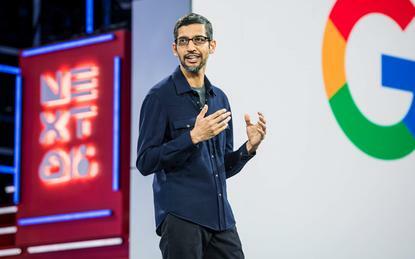 Alphabet unit Google has challenged a record US$5 billion fine imposed by European Union antitrust regulators three months ago for using its popular Android mobile operating system to thwart rivals. “We have now filed our appeal of the EC's Android decision at the General Court of the EU," Google said in an email. It had previously said it would take the case to Europe's second highest court in Luxembourg. The company referred to arguments put forward by CEO Sundar Pichai on the day of the EU ruling in July, of which the main one is that Android has created more choice for consumers, not less. The European Commission in its July decision said Google had abused its market dominance since 2011. Android, used by device makers for free, is found on about 80 percent of the world's smartphones.